We have installations around the world and in Central and South America. 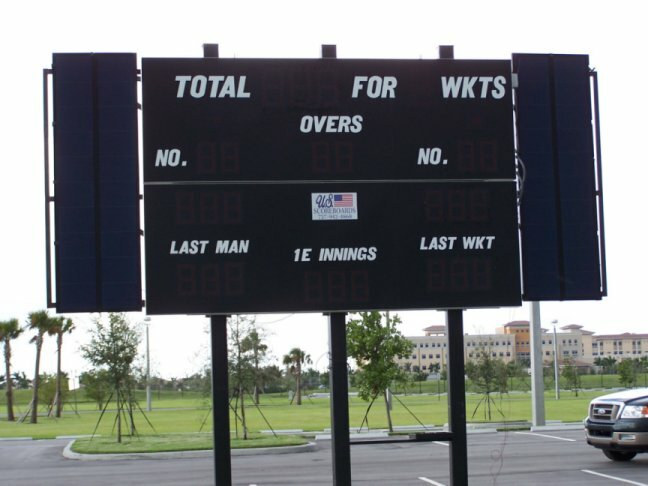 Our RF Wireless CRICKET scoreboards basketball and football, baseball, soccer, hockey, volleyball and swimming scoreboards have many standard features as well as an extended list of available options to make your wireless Solar Powered scoreboard as customized as you would like. Custom Designs are FREE. 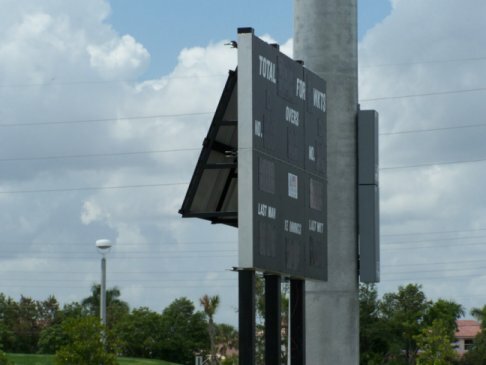 Solar Powered scoreboard models and other electronic scoreboards come with our standard RF, radio frequency, wireless scoreboard color controller, no extra wiring to worry about No Extra Cost. When 120 volt power is a problem, choose our battery power scoreboard and wireless controller. We use PDA and PC wireless controllers for ease of use and compactness. 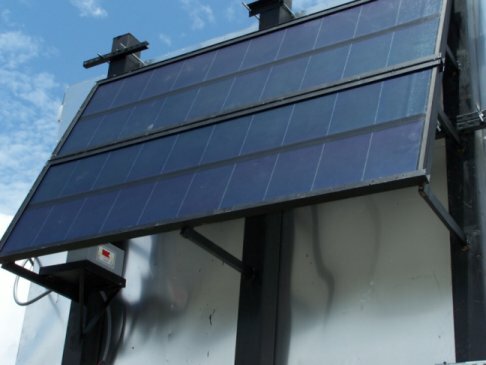 Solar Power: systems come in 64 watt and 124 watt modules. Our LED scoreboards use between 2 amps and 4 amps of power per hour. 12 volt and 24 volt systems. MK Battery series value-regulated, gelled-electrolyte batteries are designed to offer reliable, maintenance-free power for renewable energy where frequent deep cycles are required and minumin maintenance is required. These batteries feature polypropylene containers with handles and selfsealing vents. Five (5) year limited warranty. Sponsor Panels-Solar Scoreboard Sponsor panels may be any size and can added to any side of the scoreboard. Use this advertising option and help pay for your scoreboard.